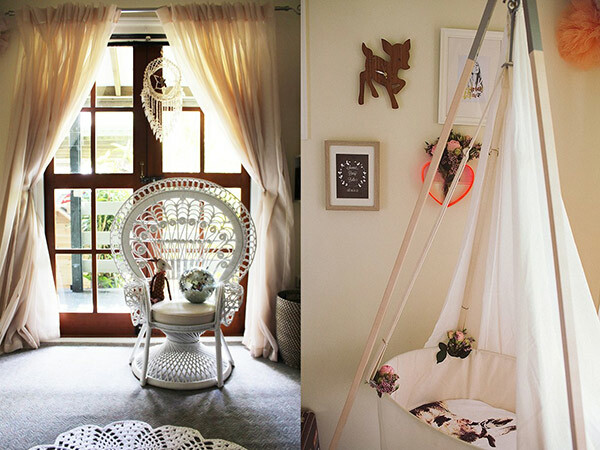 We love taking a peek into our reader’s nurseries and we’re always fascinated by where you all find your inspiration and how you put your gorgeous rooms together for your sweet cherubs. But what if you were spoiled for choice? 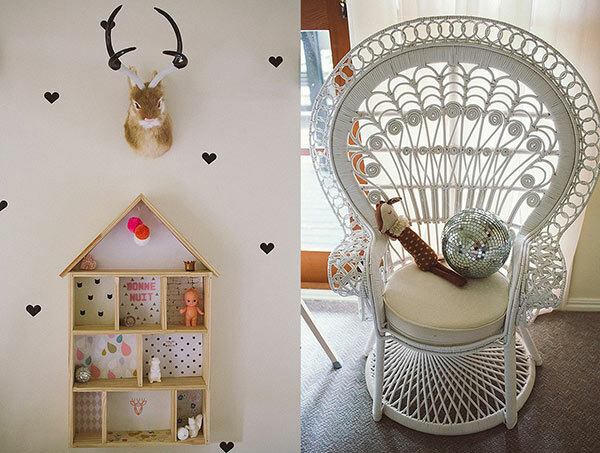 Mum and stylist Aleisha has her fingers on the pulse of all things current and on trend for clients, but what about when it came to styling the space for her own daughter? As a stylist you design rooms for your client’s taste – but when you’re your own client, where do you start? 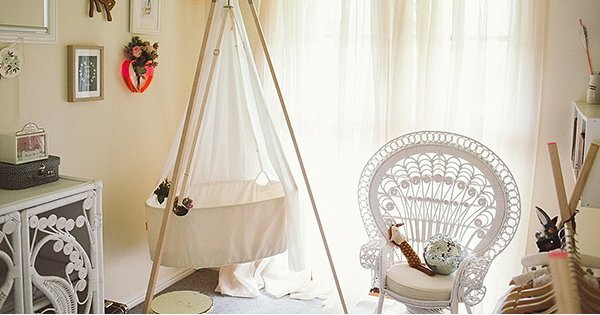 Aleisha writes: As a stylist I’m always dreaming up designs for rooms so as soon as I discovered we were having a baby girl I begun putting pictures together in my head of what her room would look like. After confirming for the third time that we were in fact having a girl, I created a design board for her room and set about sourcing the various items. Aleisha wanted her older son to feel comfortable reading books and playing in the room too, while also making it suit the needs of a newborn. She writes: When planning the design of the room, preparing a design board was crucial to forward planning, budget management (preventing unnecessary purchases!) and ensuring the room was cohesive. 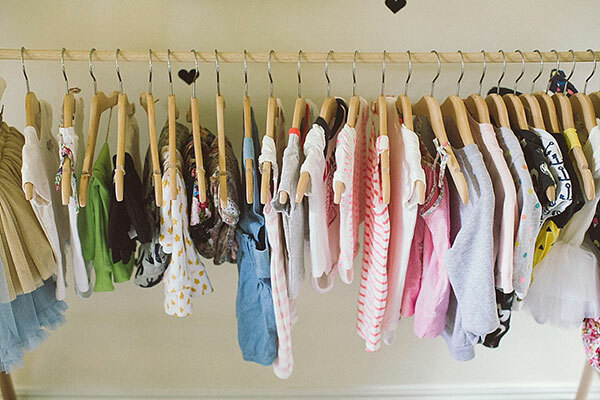 It was also very important to us to consider the practicality of the room for baby days through to toddler years, as the time goes by so quickly and it is very handy to have items that they can grow into. Awesome advice Aleisha, there’s no such thing as too much planning! Summer’s room is a collection of beautiful pieces that we loved in neutral colours, with a few bright accessories thrown in to add a pop of colour and a bit of fun to the room. My love for bohemian styling saw the addition of a peacock cabinet for storage and a child’s peacock chair, currently used by our son while we read stories together. Having a bit of DIY muscle doesn’t go astray either and Summer’s dad also got a look in in creating some special pieces for his daughter. Aleisha says: My husband is very handy and was thrilled to discover we were having a baby girl, so he handmade a few special things for her room including a beautiful clothes rack for her pretty little outfits, a wall shelf doll house for her small special trinkets and a sweet flower press with her name on it. 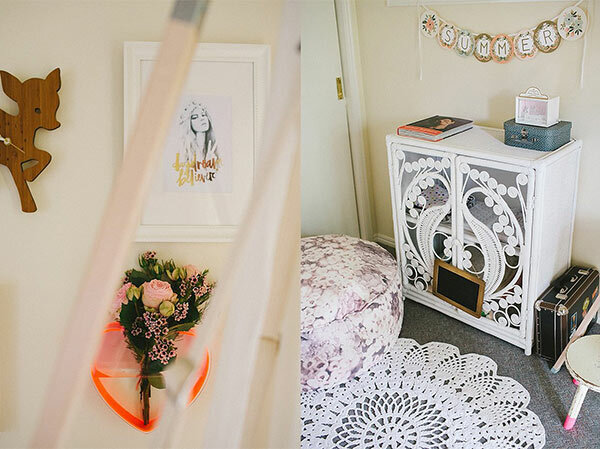 Hanging in her room is a shell dream catcher we purchased while holidaying in Hawaii, a collection of beautiful artwork gifted to us, a Decoylab Fawn clock and a Lovestar Heart Vase on the wall to add beautiful blooms to her room weekly. Adorning the main wall are mini heart wall decals from Ferm Living’s collection with a whimsical jackalope featuring between two lights. We adore these details Aleisha, we’re certain Summer Daisy will love to hear the stories accompanying some of these heartfelt inclusions in her space. 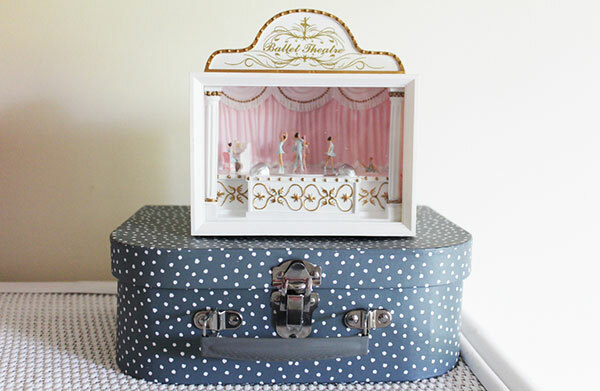 What a lucky little girl to have such a beautiful room and a talented pair of parents to boot!